Hospice Services | Hospice Care in Michigan | Universal Hospice Care Inc. Though living with a serious or life-limiting illness may seem overwhelming, our expert hospice care team ensures that you and your loved ones are not alone. At Universal Hospice Care Inc., we aim to enhance the quality of life of our patients, while providing support to their family members and caregivers. Living with a life-limiting illness can affect every facet of your life and those around you. Universal Hospice Care Inc. recognizes this and offers an array of hospice services to support you and those closest to you. The doctor plays a significant role in determining the plan of care with the rest of the hospice team. They can assess the patient and recommend the appropriate course of treatment. In coordination with the doctor, a Registered Nurse will develop and implement the plan of care. Nursing care may include medication administration, pain management, and patient monitoring. We can help arrange for and set up the necessary medical equipment to help the patient feel more comfortable. Whether you need a wheelchair, a hospital bed, or some other equipment, we can help. We can help patients and families get access to the medical supplies they need, such as catheters, incontinence care items, oxygen supplies, personal care products, and more. Our doctors can prescribe appropriate medication(s) to help control the pain and other symptoms. Then, our Registered Nurses can help with patient monitoring, medication management and administration, and other health support. 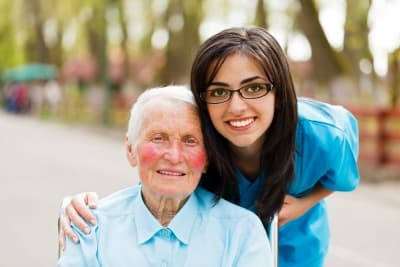 Our certified home health aides can help the patient with their personal care needs, such as bathing, dressing, getting in and out of bed, and walking. 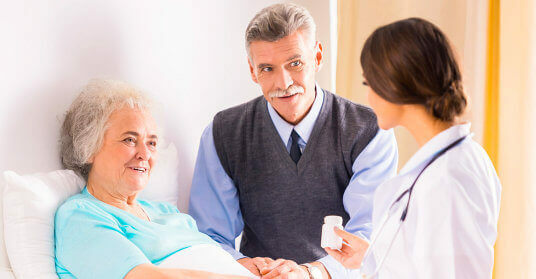 They can also provide other care services under the supervision of a Registered Nurse. Our social workers offer numerous services to the patient and their family, including case management, referral to community resources, counseling, bereavement support, care coordination, and more. Our dietitians help ensure that patients receive healthy, well-balanced meals that are appropriate for their condition. They take note of any preferences, allergies, and other dietary requirements. Depending on the patient’s spiritual or religious beliefs, hospice care may include support from pastors, clergies, or other spiritual counselors. Emotional and mental health counseling may be arranged as well. We can provide short-term in-patient care in a hospital or skilled nursing facility. This allows family caregivers to take a short break from caring for their loved one. We are here to help patients face the end of life with comfort and dignity. Our hospice services can be provided in the setting of your choice – a family residence, a nursing facility, an assisted living facility, or the hospital. Request for Hospice Care for yourself or a loved one today. Hospice may be requested immediately after diagnosis. Not sure if hospice is the right option? You may Schedule an Assessment. If you have other questions, feel free to call us at 248-799-9225 for assistance.